For over a decade-and-a-half I have specialized in research, writing, teaching, and public engagement about hate crime and hate speech. My books include Hate Crime. 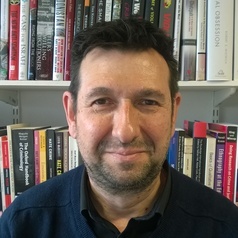 A Global Perspective (2015) (co-authored with Jack Levin), Hate Crime and the City (2008), Hate Crimes Against London’s Jews (2005) (co-authored with Vicky Kielinger and Susan Paterson), and the edited volumes Hate Crime: The Consequences of Hate Crime (2011), and The Hate Debate (2002). I mostly conduct my research in collaboration with, or commissioned by, NGOs and the equalities sector and I have extensive experience of cross-national analysis of the problems of hate crime, hate speech, and legal and criminal justice remedies.